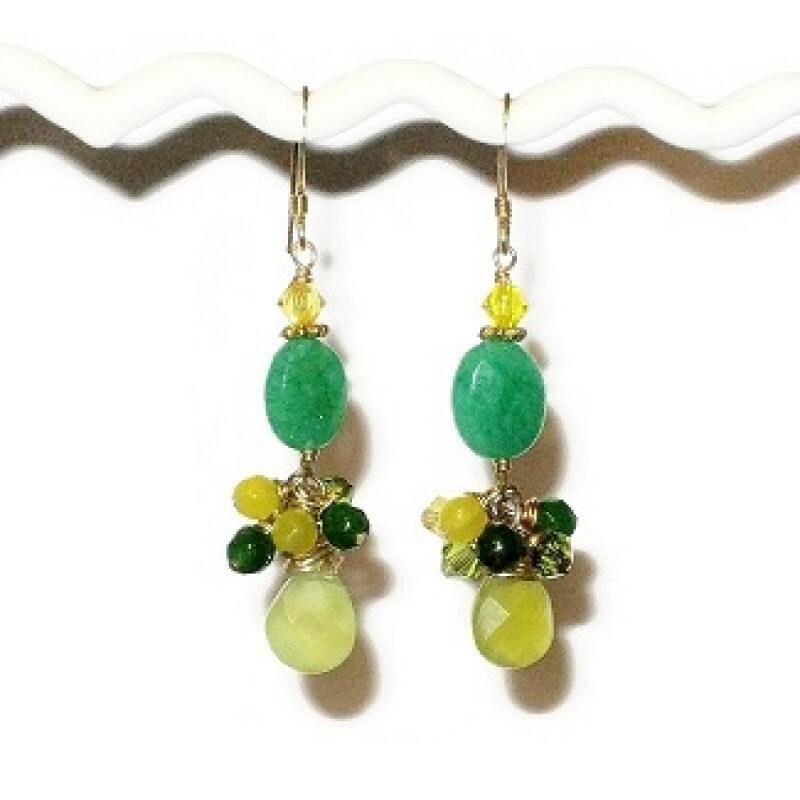 Feel special in these green and yellow cluster earrings that feature faceted briolette beads which are wrapped with gold-plated wire. They also consist of Swarovski crystals and assorted faceted jade beads. The entire length of the earrings, including the gold-plated earwires is 1 7/8 inches.